Address: Pakistan Railways Headquarter Office, Lahore. Guys, for all of here a fantastic job offer is there from Pakistan Railway Sub Engineer Jobs 2018 PTS Online Form Download. 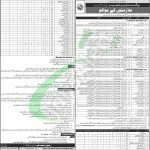 Once again on 17th November 2018 Pakistan Railway New Jobs 2018 is going to become the most wanted career opportunity because it has been announced from the Pakistan Railways Headquarters Office Lahore that is in probe to hire the dynamic, minimum qualification holding applicants with expertise and abilities to fill the numerous vacancies of different categories of Sub Engineer. The detailed Categories of Sub Engineer Jobs are (Sub Engineer (Civil), Sub Engineer (Electrical), Sub Engineer (Mechanical)) are the categories which carry different posts which can be observed from the below heading or from the Railway Jobs Advertisement Image. The quota is admissible for Merit, Punjab, Sindh (U), Sindh (R), KPK, Balochistan, GB/FATA and AJK. Now, I will let you know about its further details below. Pakistan Railway is the Federal Govt department which is working under the Ministry of Railways and Govt of Pakistan which regulates all the passengers and transport system of the country and on the other hand with respect to these works it offers career opportunities. Being a Govt entity it offers Govt jobs of different level. For all positions, Matric 2nd Division in Science Subjects and 3 Years Diploma of Associate Engineering in the relevant discipline is required for the relevant post. Age between 18 to 25 years is required to apply. Applicants are required to apply by downloading the application form along with deposit slip from the PTS Site or from the www.jobsalert.pk. Application Form may also be obtained from Pakistan Railway Official website i.e. 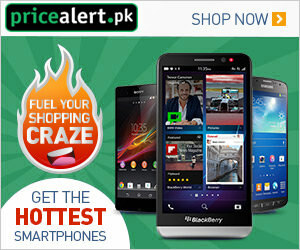 www.pakrail.gov.pk. Test fee of Rs. 170/ should be the paid deposit slip in UBL or HBL Bank online branch. Duly filled the application with a paid deposit slip, a copy of CNIC, 2 recent passport size photographs and postal envelope should reach the said address. The last date for applying is December 09, 2018. Last Date to Apply: December 09, 2018. Address: PTS (Pakistan Testing Services), 3rd Floor, Adeel Plaza, Fazal-e-Haq Road, Blue Road, Islamabad.